Worst car spoiler? | WhatPoll? 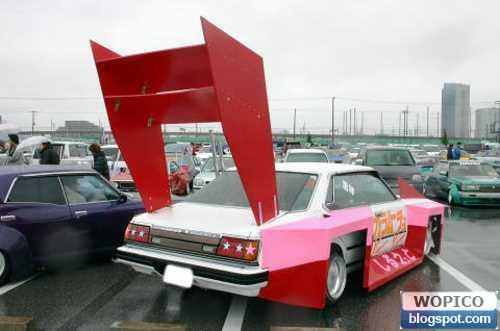 Home > Auto & Technology > Worst car spoiler? I think the word “spoil” is very apt in this poll, as the spoilers that have been added to these cars certainly don’t do much for aesthetics! Add some more photos if you have any snapshots of some crazy spoilers! 1) Is this a bench? 7) Big spoiler, tiny car.